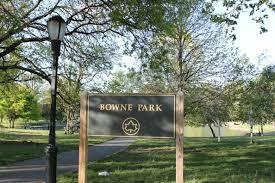 The original Bowne Park Civic Association did exist from the 1940s to about 1950. In 1974 John Procida, a new real estate broker in the area, saw the need for restarting the association. John found the last president of the old association, Thomas McCallan, and convinced him to restart the organization. The first problem that the neighborhood had was the Bowne Park Bar on the corner of 29th Ave and 161st Street. The bar was always a neighborhood bar and no problem but it was sold and young people from out of our area became the new clientele. Unfortunately, they were problematic and the neighborhood was ripe for the new BPCA. A meeting was held in Procida’s office and about eighteen people attended. Tom McCallan was elected as the president and John Procida was the vice President. Other officers and attendees were Josephine and Bill Costello, Agnes Noeth, Charles Tricker, William Robb, Eleanor Bazata, Rudy Serpa, William Fields, Al Heart, Tom McLaughlin, and others. We collected about $32.00 and we were on our way. With the help of State Senator Frank Padavan we were successful in closing the noisy bar and since then we have protected the community from many other problems. Flushing Memorial field got that name because the land was purchased by Veterans of WW one and they dedicated it to their fallen comrades. They then gave the land to the city with the understanding that the memorial would be maintained. A few years ago the parks commissioner for some reason changed the name to Flushing fields ignoring the dead solders. Through The Bowne Park Civic association’s effort with support from the VFW Post 4787 and the American Legion Post 131, the park has been re-named Memorial field of Flushing again honoring the men who died for our country.